Acer last year mentioned that, they possibly be making a deal with Intel Corporation for development of processors for their upcoming Smartphones. 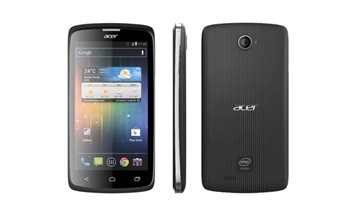 Now there is a news that Acer has got their wish because they have now partnered with Intel and launching a new Smartphone called Acer Liquid C1 in Thailand. According to reports Liquid C1 is powered by Intel’s Lexington-based Atom Z240 processor and at a rough estimated Smartphone will have a price of $335. Uday Marty, Intel’s managing director for Southeast Asia, says that the country is a key market because of its young mobile user audience. According to sources Acer is not the one only who has now inlets Powered Processor for Smartphones as Lenovo and Motorola are also in the process of developing Intel processor based Smartphones.